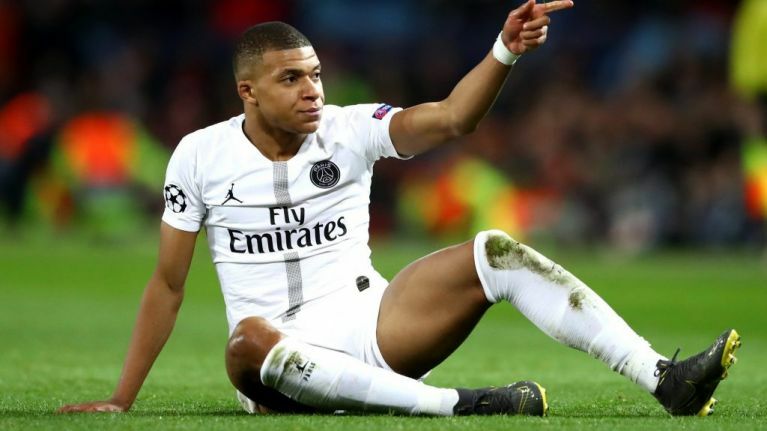 Paris Saint-Germain threw away yet another chance to wrap up their Ligue 1 title this weekend, suffering their heaviest league defeat in 19 years at the hands of Lille, who beat them 5-1. This humiliation comes just a week after Eric-Maxim Choupo-Moting, who joined PSG on a free transfer last summer, managed to pull off the worst miss of all time, stopping a ball on the line as it was rolling in. It honestly has to be seen to be believed. It's so bad it looks deliberate. This week, the Paris club failed to put things right as Lille powered through them with ease in one of the most inexplicable games of the season. A Thomas Meunier own goal gave Lille the lead in the 7th minute, but Juan Bernat levelled the scoring four minutes later. However, a red card for Bernat 10 minutes before half time was the turning point, as the floodgates opened and Lille scored four goals in the second half, the last of which came from former Southampton and West Ham defender José Fonte. This was the first time a team had put five goals past PSG since 2000, when Sedan beat them 5-1. The stats make for interesting reading, as PSG had slightly more of the ball with 56% possession but allowed Lille 15 shots, six of which were on target, five of which went in. PSG themselves had five shots on target, and the same number of corners. 5-1 seems to paint a distorted picture of how the game went, but if you don't take your chances, you've only yourselves to blame. If only they had some sort of €160m striker in their squad. PSG will now have to wait another week before they can have another go at wrapping up this season's Ligue 1 title - I don't think Lille are making up the 17 point gap - but something is wrong with the PSG machine. Maybe they need to check the oil.